8Since the very inception of the concept of tangible wealth, money has changed in drastic ways. Our ancestors used to exchange food grains as money, while sometimes it was salt and later, gold. The reason behind this continuous change in money was the requirement of being divisible, durable and portable. Every change certainly took time for people to get used to, but this time the change is far more drastic thanks to technology. Currently crypto currency is the latest trend in economics because it can be used and transferred anywhere in the world (sorry China!). With all the talk about cryptocurrency, we’re sure you must’ve heard about Bitcoin. Some of the major companies have already started taking it as a payment method and is also sought for investment purpose by individuals and traders. So, if you are looking for a medium to buy and sell bitcoins, you definitely need to have a sturdy Bitcoin wallet. 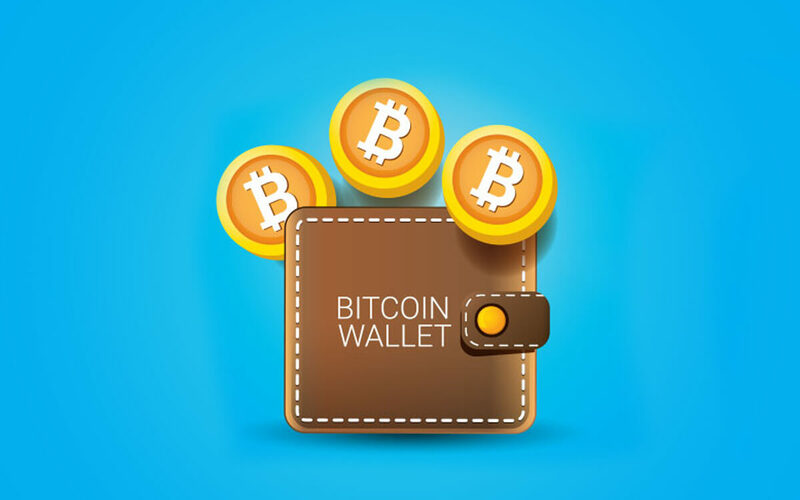 So to make things easy for you here’s our list of the best Bitcoin Wallet Apps for Android 2019. The application is considered as one of the most secure bitcoin wallet. It allows you to send receive Bitcoins. On this app, you will experience ultra-fast connectivity through super nodes. You can find other people trading Bitcoins which makes it easier for you if you are planning to buy or sell your Bitcoins. It has dynamic fees while handling transactions. You can share your bitcoin address using Twitter, NFC, Facebook, email and more. Another best Bitcoin Wallet Apps for android is Coinbase with 11M users who trusted the app. On the app, you can select credit and debit cards or PayPal to buy sell bitcoins. You will also get price alerts for your purchased bitcoins. Send request money to any of your google contacts with QR or NFC. Best thing you will like about the app is that you can easily disable it in case you have lost your device. If you are looking for an application which can help you to manage your multiple bitcoin wallets on one place then you should choose Bitpay. You can keep an eye on the transaction on any of your wallets by push notifications and email notifications. The app supports multiple languages so it is easy to manage your wallets in your native language. The application is comparatively faster than other bitcoin wallets it allows you to send receive bitcoins in seconds. It is simpler to recover your funds when your device is lost or broken. Breadwallet connects directly to bitcoin server that means it gives you enhanced speed and no risk of servers getting down or hacked. The app is having simple and easy to understand interface. This application will help you to create or manage your multiple bitcoin wallets it is having deep integration to buy or sell bitcoins you can also buy amazon gift cards using the application. The app supports Support unit denomination in BTC or bits and for 150+ currency pricing options. Another feature which makes it one of the best Bitcoin Wallet for android is that you can also create shared wallet with the app which helps you if you are going out with friends on trips and tours. Bitcoin has released its own free bitcoin wallet for android understanding the need of a wallet app to keep your cryptocurrency safe. The application is having lots of functionalities such as conversion of your bitcoin amount to local currencies. With this wallet you can pay using Bluetooth even when you are offline. If you are a merchant, then customers can quickly scan QR codes to make you payment. Another wallet in our list of best bitcoin wallets is Blockchain wallet. It is capable to keep track of your other crypto currencies as well. With blockchain wallet you can see live market price of currencies you hold. You can instantly buy and sell bitcoins using this application. For some users’ application is a quick way to send funds anywhere. If we talk about the security, then application allows you to set bio metric password and you can also go with a four-digit pin. BRD is a simple and sorted way to keep track of your crypto currencies. At the top of the this bitcoin mobile wallet you will see total value of what you hold in your wallet. Like other wallet apps this wallet app is not just dependent on 4-digit pin. You can also set a six-digit pin for the wallet. You can also save your credit or debit card details to make payments using them. This speed up your payment process. Like other bitcoin or crypto currency wallets Ripio also allows you to safeguard your Bitcoin mobile Wallet with Pin. You can instantly buy or sell crypto currency using this wallet. Best part about this application is that you will also get email notifications for all your activities on the wallet. Transaction using QR codes make it easier for merchants to use this wallet. If you are looking for an application which can be used to send money to your relatives friends and family all over world and can also work as wallet for your crypto currencies then you should go for Xapo app. With Xapo app you can send money over the chat because the app is your crypto currency wallet as well therefore you can use it to send money from your crypto currency balance. Must Read: Blockchain Technology: Explained By A GoT Fan! So, these were 10 best Bitcoin Wallet Apps for android. We hope that this list will help you to choose a best bitcoin wallet for your smartphone. This change in money is unstoppable so what are you waiting for? Download any of these wallets and enter the world of digital money.